Karin Douglas was leaving Houston Research Clinic forever. A man whom she had dated a few times, Ben Jarome, had committed suicide. The note he left gave the impression that Karin had led him on, then thrown him over. People were willing to accept the distortion rather than ferret out the truth. Ben’s father was influential in the city of Houston. The suicide headlines had blazed across every paper in the city. Her picture along with Ben’s appeared in the tabloids. Karin had to make a new life for herself. But, she thought, was she making a mistake? Was running away always foolish? As she pulled up to the rooming house in Richardson, a small suburb of Dallas, doubts continued to assail her. And at Mrs. Grummy’s rooming house her composure was at once put to the test. Books filled her room, the result of a vanity press swindle of her new landlady. Karin’s first day of work was not much more auspicious. Almost immediately she was met with rudeness and impatience by her work partner, Jessica. 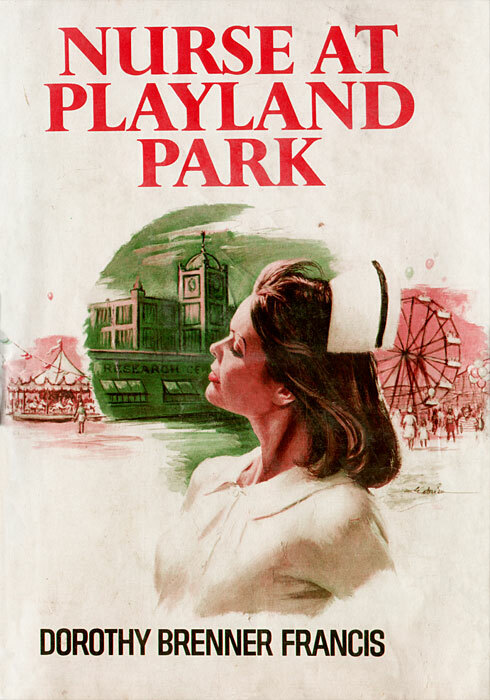 Unwittingly Karin had made an enemy, one whose ingenuity might threaten her new job at Playland Park General First Aid–and her future. Karin had promised herself after the Houston scandal to concentrate on her job and future, that men–all men–were off limits. Including Mac Franklin, an amiable young worker-pianist at Playland Park, and Dr. Lance Pickford, a sophisticated ladies’ man. How to hold on to her job and at the same time hold off two men test Karin Douglas’ mettle to the extreme.